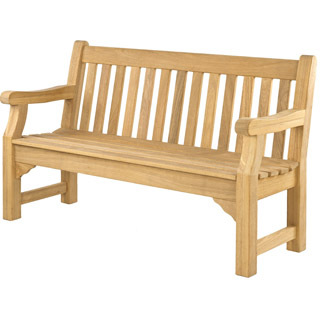 The new Windsor Bench Range is our newest and heaviest bench range. 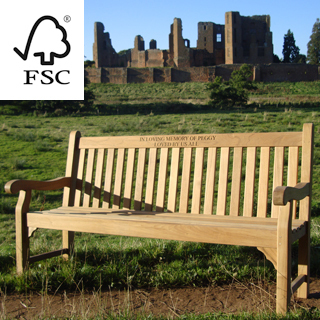 The Windsor bench emulates a classic juxtaposition of tradition and modernity. 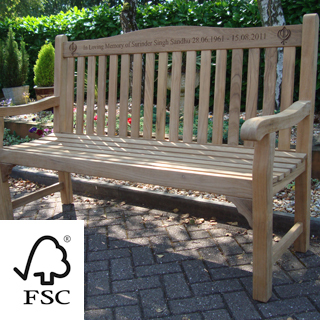 We have designed this bench for maximum comfort established through a shaped seat and back. The curved top rail provides a perfect aesthetic compliment to this comfortable and functional curved design feature. 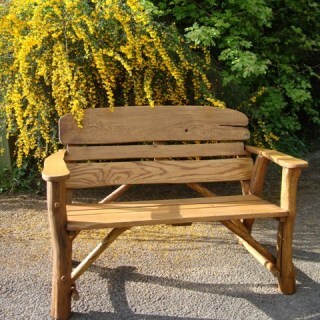 However this bench stands out from all others due to its substancial weight of 47kg (1.5m) and 54kg (1.8m) respectively. 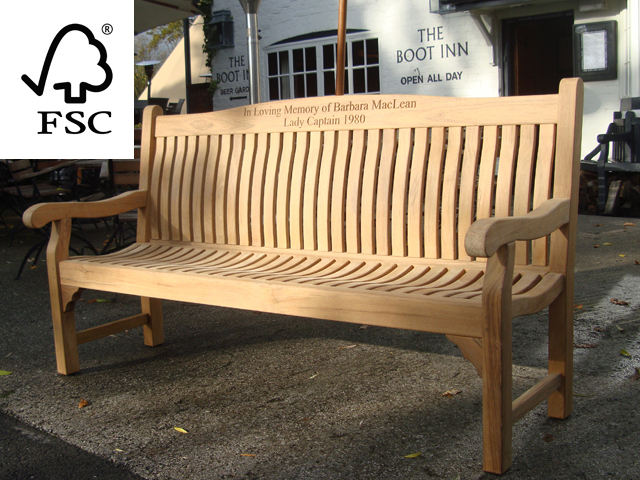 This heavy duty bench is next to none and enormously enhances the bench's durability and strength. 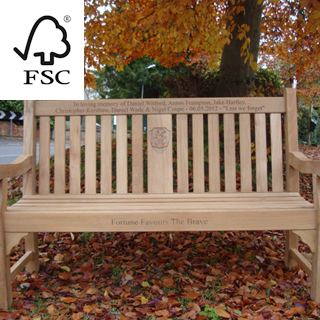 Continuing the versatility of our other memorial benches the Windsor benches are designed with our CNC engraving in mind. This bench can be engraved on the bench back (top rail) only. The top rail is wide enough for 3 lines of 1 inch engraving. 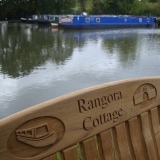 Our engraving is V carve engraving typically 0.3 inch deep, depending on the font type and size. 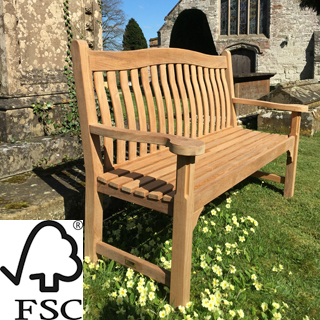 The Windsor bench is made of FSC certified teak thus providing you with an excellent quality bench from a responsibly managed forest. 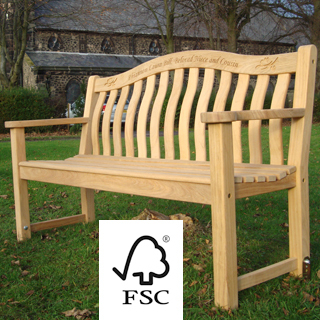 The smoothly contoured scrolled arms further this bench's elegant design. 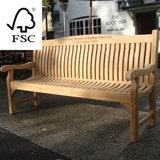 The wider leg profile is essential to the strength and durability of this bench.